This article for nurses on pulmonary rehabilitation for people with chronic obstructive pulmonary disease (COPD) is the last in the series of evidence reviews written by Sarah Chapman for the British Journal of Community Nursing. It was published there in December 2017. Chronic obstructive pulmonary disease (COPD) is a multifactorial, progressive, chronic lung disease, and is the only major cause of death whose incidence is on the increase. By 2030, COPD is expected to be the third leading cause of death worldwide, exceeded only by heart disease and stroke (European COPD Coalition, 2017). The primary cause of COPD is tobacco smoke. COPD includes chronic bronchitis and emphysema; many people with COPD have both. Interventions for COPD include stopping smoking, drug and non-drug therapies, supplementary oxygen, surgical treatments and palliative care. Pulmonary rehabilitation has a central place in managing COPD, as supported by international guidelines and best evidence (McCarthy, 2015). Pulmonary rehabilitation is ‘a proactive approach to minimising symptoms, improving health-related quality of life and increasing physical and emotional involvement in everyday life’ (McCarthy, 2015). Comprehensive assessment is followed by therapies tailored to the individual. These will vary, but exercise training is regarded as a core component. The aim is to improve the physical and mental health of the person with COPD and encourage long-term adherence to behaviours that improve health. So much of the time Cochrane reviews reveal evidence gaps and continued uncertainty. While it is important to know where there is no reliable evidence to inform decision-making, ‘more research needed’ is always a rather dispiriting sentence to read. So it is heartening to learn that clinical research into pulmonary rehabilitation for people with COPD has delivered meaningful outcomes. When the Cochrane review on pulmonary rehabilitation in COPD was last updated, the Cochrane Airways editorial board made the unusual decision to close the review, meaning that it will not be updated again (McCarthy, 2015; Lacasse 2015). Each update of this review, first published in 1996 and on its fourth version by 2015, strengthened the findings that pulmonary rehabilitation is beneficial in improving quality of life for people with COPD on completion of the programme (Lacasse, 2015). Back in 2006, the review authors concluded that further trials comparing pulmonary rehabilitation with usual care were not warranted. Although the evidence quality, as defined by the Grading of Recommendations Assessment, Development and Evaluation working group, is rated as moderate at best, high-quality evidence cannot be expected in trials of pulmonary rehabilitation, as the intervention cannot be double-blinded. There is reliable evidence from another Cochrane review that pulmonary rehabilitation after an exacerbation of COPD has moderate to large beneficial effects on health-related quality of life (HRQoL) and exercise capacity (Puhan, 2016). Pulmonary rehabilitation is a complex intervention, and both reviews have highlighted continuing areas of uncertainty that could usefully be explored in future trials and meta-analyses. There is a need for further research to understand the impact on outcomes of factors such as training intensity, programme components, length and location, the degree of supervision, and how long the effects last. 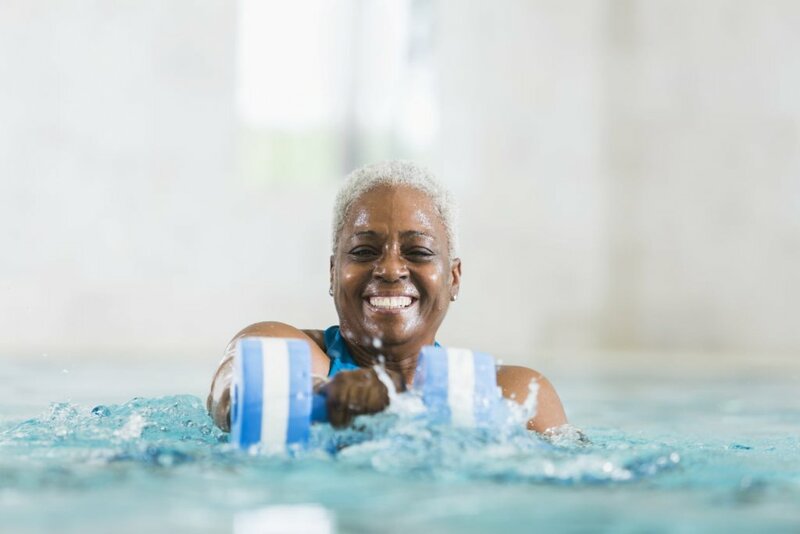 There are several Cochrane reviews that explore aspects of the exercise training component of pulmonary rehabilitation, so it is worth looking at these to see whether they have useful evidence for practice. There are several Cochrane reviews exploring aspects of the exercise component of pulmonary rehabilitation. 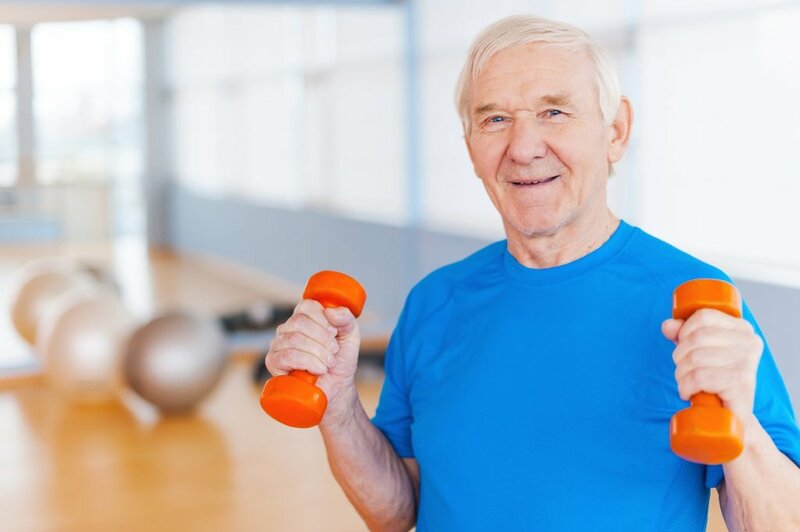 Exercise training can improve exercise capacity and musculoskeletal strength and reduce dynamic hyperinflation in people with COPD, which can in turn lead to reduced symptom burden and better quality of life. Traditionally provided through supervised programmes, more recently there has been interest in the role of unsupervised exercise training, using resources such as DVDs and written material, for people with COPD. A Cochrane review is now under way that aims to assess and compare the efficacy and safety of these approaches (Mitchell et al, 2015) and it is to be hoped that this will provide an evidence base to provide guidance on the wider implementation of unsupervised programmes. A Cochrane review, which aimed to establish the effects of intensity (higher versus lower) or type (continuous versus interval training) of leg exercise training on exercise capacity, symptoms and HRQoL in people with moderate to severe COPD, found that both types of training are probably equally effective, but that the impact of training intensity remains uncertain (Zainuldin, 2011). Despite this uncertainty, increasing exercise intensity remains a goal, and the use of non-invasive ventilation (NIV), a type of breathing support delivered via a mouthpiece or mask, a means proposed for achieving this. The bottom line of a Cochrane review exploring this is that ‘it is currently unknown whether the demonstrated benefits of NIV during exercise training are clinically worthwhile or cost-effective’ (Menadue et al, 2014). 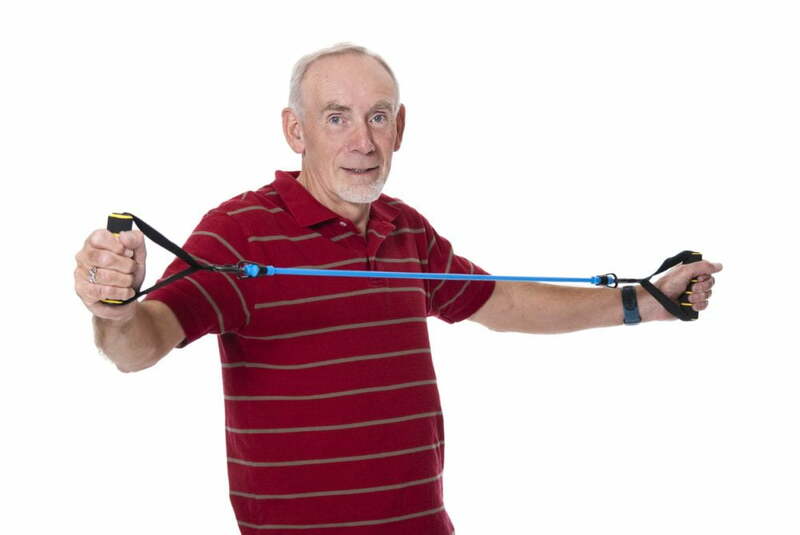 Upper limb training is also often part of pulmonary rehabilitation. Arm fatigue and dyspnoea can make it difficult for people with COPD to perform upper limb exercise, and addressing the uncertainty about the effect of this training on breathing and HRQoL was the objective of a Cochrane review (McKeough, 2016). It found that some form of upper limb training, compared to none, probably improves dyspnoea but not HRQoL in people with COPD. Questions remain about what constitutes the optimal upper limb training programme. Water-based exercise training is an alternative to land-based programmes and a Cochrane review found some evidence comparing the two approaches, as well as looking at the effect of water-based training compared with none (McNamara et al, 2013). Immediate improvements in exercise capacity were demonstrated following water-based training and it compared favourably with no exercise and with land-based exercise, but whether the effects are sustained is unclear. Potential differences between the two training types in terms of HRQoL are also unknown. Immediate improvements in exercise capacity have been demonstrated following water-based training, but it is uncertain whether these last. The current National Institute for Health and Care Excellence (NICE) guideline (2010) states that pulmonary rehabilitation should be available to all those with COPD who need it, including those who have had a recent hospital admission for an exacerbation. The Cochrane evidence published since the guideline further supports this recommendation, while its effectiveness in ‘real-life’, with benefits comparable to those seen in clinical trials, has been confirmed in the most recent clinical audit of pulmonary rehabilitation services in England and Wales (Steiner et al, 2016). Cochrane reviews have helped to establish the benefits of pulmonary rehabilitation but also where research resources now need to be directed to understand how to maximise its effectiveness and safety. 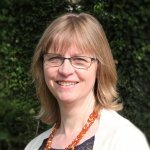 In the light of audit findings that there is a need for better awareness amongst health professionals and patients of the benefits of pulmonary rehabilitation, it is good news that a Cochrane review has recently begun, on interventions to improve referral, uptake and adherence to pulmonary rehabilitation is now under way (Young et al, 2017). My twin sister was diagnosed with COPD few years ago. She was on a trial for some months. It turned out that the drug she was given was not a placebo, but the real thing and it was working. Then they pulled the plug on it saying it was not viable! So. they got her on another trial, that trial also was cancelled after a while. 2017 I ordered COPD herbal remedy from Best Health Herbal Centre online and they shipped it to me. She only used the COPD herbal remedy for 5 weeks, all her symptoms disappeared, she stopped wearing oxygen and my family doctor confirmed her, COPD free now. Is almost 5 months now, no more COPD.